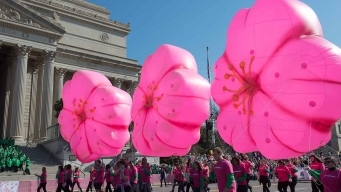 Start prepping for big festival events, pick your favorite viewing spots and find other ways to celebrate the blossoms through art, music and food. What visions of the cherry blossoms swirl in your head? Romantic picnics? Snapping your next Instagram photo? These are the dreams of the estimated 1.5 million people who visit D.C. 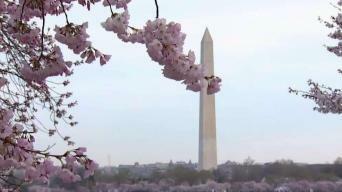 The famed cherry blossoms in Washington, D.C., have reached peak bloom. 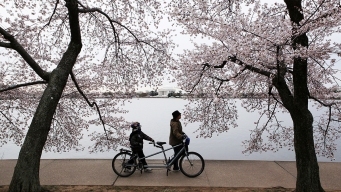 Temperatures are set to plummet as the cherry blossoms approach peak bloom. It's time to plan your best cherry blossom viewing day ever. 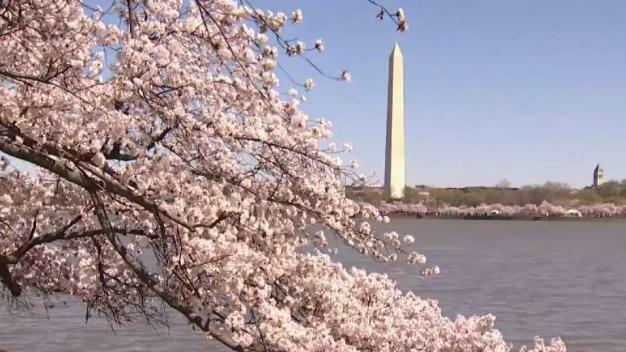 In 1912, the mayor of Tokyo gave 3,000 cherry trees to Washington, D.C. The gift honored the lasting friendship between the U.S. and Japan. 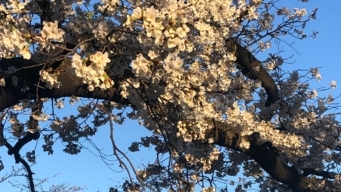 More than a century later, the trees and their blossoms still entice thousands to gather at the Tidal Basin to celebrate their beauty and sense of goodwill. Send your pictures to isee@nbcwashington.com or tag @nbcwashington on Twitter.